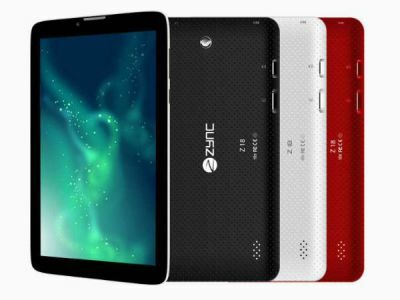 Homegrown handset maker Zync Global today unveiled its 2G calling tablet \\\'Z-18\\\' priced at Rs 6,009. Homegrown handset maker Zync Global today unveiled its 2G calling tablet 'Z-18' priced at Rs 6,009. The seven-inch device features 1.5 GHz dual core processor, Android JellyNean operating system and 512 MB RAM. It will come with on-board storage of 4GB (expandable upto 32GB). Backed by a 2,500mAh battery, the tablet comes with a 2MP rear camera and 0.3 MP secondary camera. Apart from Homeshop18, the tablet will also be available on e-commerce websites like Snapdeal, naaptol and shopclues. How is Vishaal De Mal promoting metropolitan culture in Madurai?